Bar-Yam, Y., Read, R. & Taleb, N. (2014). The Precautionary Principle. Precautionary Principle, p. 1-5. Byrne, P. (2006). Labeling of Genetically Engineered Foods. Department of Soil & Crop Sciences. Accessed March 24, 2014 from, http://cls.casa.colostate.edu/transgeniccrops/labeling%20in-service%202-02_files/v3_document.htm. Colorado State University. (2006). Agricultural Biotechnology and the Monarch Butterfly. Accessed February 1 2014 from, http://cls.casa.colostate.edu/transgeniccrops/ctmonarch.html. DiGiuseppe, M. & Fraser, D. (2012). Biology 12 Study Guide: University Preparation. Nelson Education. pp.118-119. Dodge, J. (2005). Differentiation in Action. Toronto: Scholastic. Dulson, J., Fraser, D., Ledrew, B. & Vavitsas, A. (2011). Biology 11. Toronto: Nelson. Dunlop, J. (2010). Biology 11. Toronto: McGraw-Hill Ryerson. Food and Agriculture Organization of the United Nations. (2013). FAO GM foods platform. Accessed January 22 2014 from http://www.fao.org/food/food-safety-quality/gm-foods-platform/en/. Galbraith, D., Blake, L., Bullard, J., Chetty, A., Grace, E., et al. (2001). Biology 11. Toronto: McGraw-Hill Ryerson. GMO Free USA. (2012). Running for a GMO Free USA. Accessed March 17th 2014 from, http://gmofreeusa.org/. Handley, A. (2013). 10 Insane Cases of Genetic Engineering. Retrieved February 1, 2014 from http://listverse.com/2013/03/08/10-insane-cases-of-genetic-engineering/. Health Canada. (2013). Genetically modified (GM) foods and other novel foods. Accessed January 22 2014 from http://www.hc-sc.gc.ca/fn-an/gmf-agm/index-eng.php. National Center For Case Study Teaching In Science. (2014). Teaching Resources. Accessed March 24 2014 from http://sciencecases.lib.buffalo.edu/cs/. National Research Council. (2000). Transgenic Plants and World Agriculture . Washington, DC: The National Academies Press. National Science Teachers Association. (2007). Genetically Modified Crops: Resources for Environmental Literacy. Peairs, F. B. (2003). Managing corn pests with Bt corn: some questions and answers. Department of Bioagricultural Sciences and Pest Management, Colorado State University, p. 1-8. Seralini, G., Clair, E., Mesnage, R., Gress, S., Defarge, N., Malatesta, M., et. al. (2012). Long term toxicity of a roundup herbicide and a roundup-tolerant genetically modified maizze. Food and Chemical Toxicology, 08; 1-11. Sutton, J. (2004). What is golden rice? Colorado State University Department of Education. Accessed March 24 2014 from, http://cls.casa.colostate.edu/transgeniccrops/hotrice.html. Ward, S. (2006) Transgenic Crops: Risks, Concerns and Benefits. Accessed March 24 2014 from http://cls.casa.colostate.edu/transgeniccrops/Sarah_workshop1_files/v3_document.htm. Figure 1D: Sutton, J. (2004). 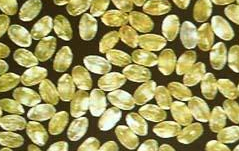 What is golden rice? Colorado State University Department of Education. Accessed March 24 2014 from, http://cls.casa.colostate.edu/transgeniccrops/hotrice.html. Figure 4D: Boczon, C. (2006). Transgenic DNA in Mexican Corn Landraces. Department of Soil & Crop Sciences. Accessed March 24 2014 from, http://cls.casa.colostate.edu/transgeniccrops/hotmaize.htmlhttp://www.google.ca/search?